Edited by orzie at 17:42, 04 Apr 2017. There are still some technical issues, but they mostly concern graphics as well. First, there is half-transparency for a few creatures on the battlefield (Air Elemental) and color index cycling for some creatures (Phoenix, Genie, a few others). In fact, they don't spoil the fun as much, but I hope that we will deal with them too, eventually. 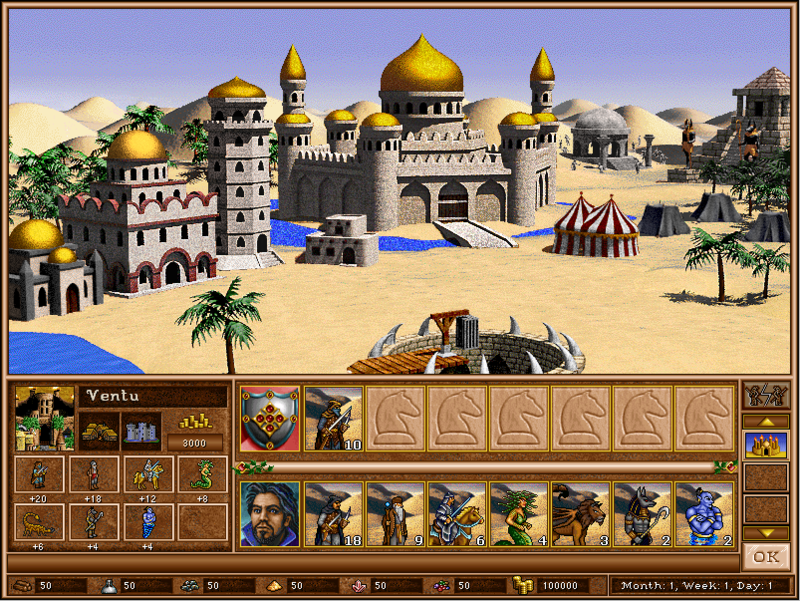 There is also animation of the battlefield background (lava) which requires implementation. Another issue is the implementation of our first compound artifact - the Battle Garb of Anduran, and the concept of Grail also must be redefined someday. Finally, there is a big long story with the spell system and spell effects (there are plenty to implement, because H3 spell visuals differ A LOT), but this headache waits until v0.9 and later. An adjustment over the map editor also would be really good. Other than that, it's mostly routine, but sometimes it's also hard to perform due to various reasons. I am not able to tell how many times we repacked the map objects over and over again already, and we will still need to do it once more in future. posted July 13, 2017 08:32 PM bonus applied by Maurice on 21 Jan 2018. Edited by orzie at 20:34, 13 Jul 2017. Faction townscreens in H3SW are one of the most effort-taking aspects of development. Just like the notable difference in screen sizes between sequels, a necessity of using 3D editing software also matters a lot. As the years passed, a lot of things were understood on a new level, which led to endless updates and remakes of the in-game graphics as well as to a change in the overall approach in the project development. 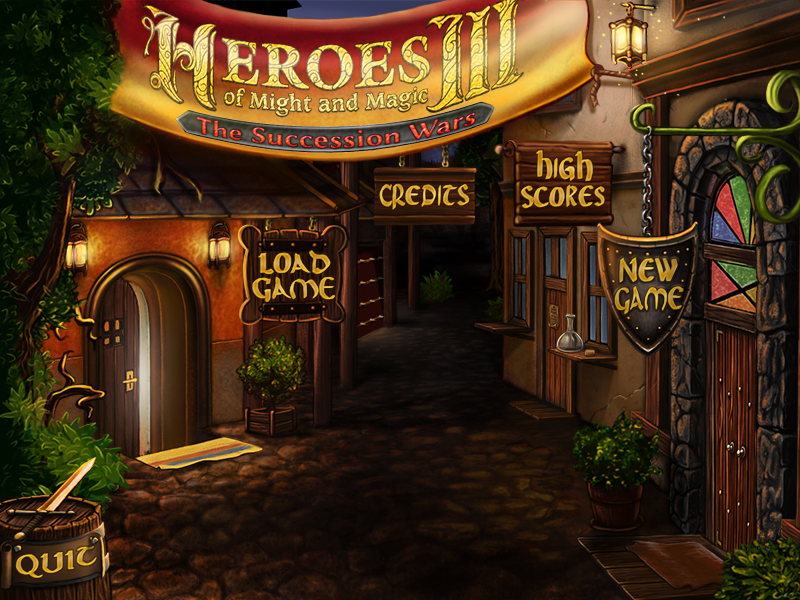 Nevertheless, we are happy to finally show you a brand new Knight townscreen. It is intended that version 1.0 will include similar developments for all of the factions, both classic and new. Those who remember the older Knight townscreen from the 2013 beta will surely appreciate the update. The upcoming v0.8 beta will also have some neat surprises directly related to towns/factions. Edited by mvassilev at 21:02, 13 Jul 2017. That looks great overall, but if I can nitpick, something about the new building on the right seems a little off. It's strange how the path to it partially starts at the middle pillar but isn't wide enough to extend to the next archway. It would make more sense if it were a bit narrower or almost twice as wide. Also, I think the shaded part of the tower by the market would look better if it were slightly brighter. What about other townscreens? Will they be merely a placeholder in the 0.8 version? A good question. We'll still try to fix the rest of the classic townscreens to some extent, but don't expect miracles for the upcoming beta. Too much other things had to be done through these 4 years: we practically remade everything. Like I said though, some neat surprises are awaiting. The most neat surprise will be Beta out. 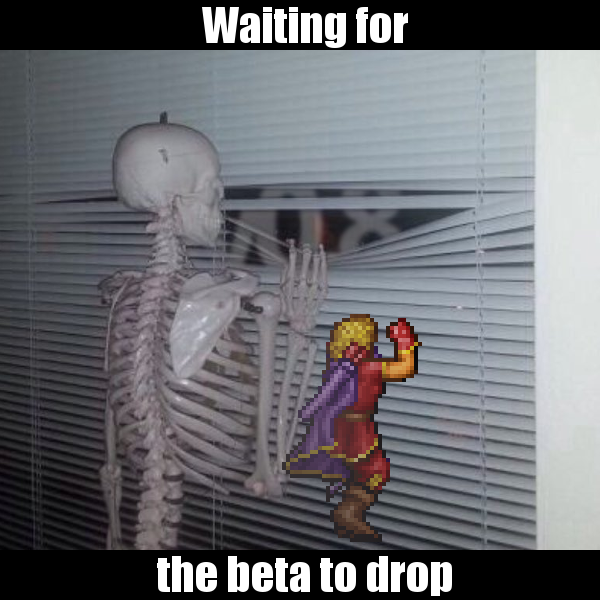 There is already more than 2 years I feel when it have to be released. posted November 13, 2017 07:17 AM bonus applied by Maurice on 21 Jan 2018. The project now has a face thanks to the heroes of brush and paint: Ashirox and Ragoon! More official updates coming soon. Main menu looks great, though I personally would have preferred the 2D pixel style of the original to have been kept if possible. This of course is a very minor nitpick. Glad we will be getting more updates soon, hopefully we at least won't be waiting for them for too long. links not working where i can DDL it from ? It is intended that you can't. Please keep track of our upcoming news. 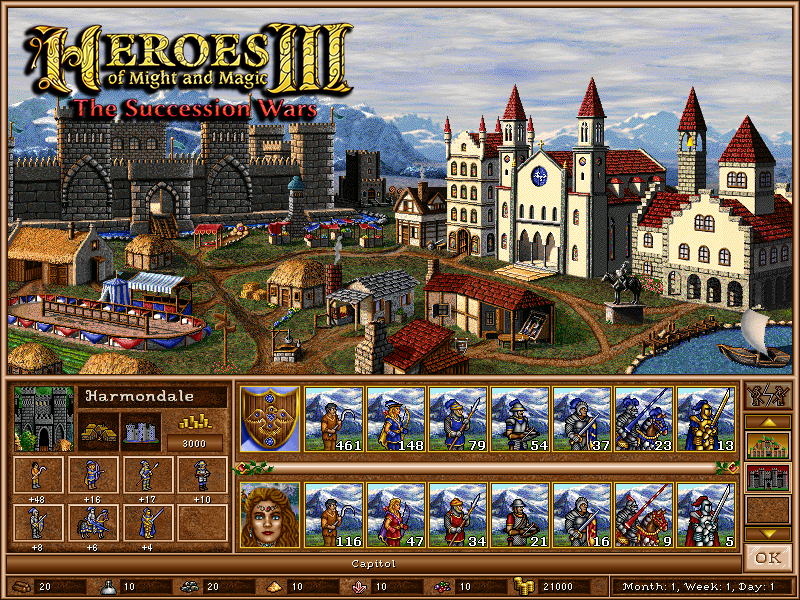 Heroes 3 Era and everything for it. Releases folder for releases. Our life expectancy doesn't grow enough fast for that. Well, it's only been 5 years. I even study in the same university as before. Yet, as a PhD student this time. The roster looks great. Of course people will always find a way to one-up or fix them, and even if they were applied, that fix would then always be subject to yet another suggestion, ad. infinitum. On the other hand I appreciate how the version before were able to provide upgrades for all. Even if at the cost of quality. Question: How many of the roster would be one-and-done non upgradeable? 20%? Well, to be fair, it's been 7 years and I still haven't completed any of my projects. Keep up the good work, I trust you'll do a great job, so the wait will be worth it. posted January 20, 2018 08:09 PM bonus applied by Maurice on 21 Jan 2018. Edited by orzie at 20:21, 20 Jan 2018. (Almost) the same as in H2 for the upcoming beta. New creatures mostly don't have upgrades, too. This is due to the simple conceptual fact that not all of H2 creatures are in fact designed as upgradeable. So, simple animals/relatively unconscious beasts, level 1 creatures, and neutrals don't have it, while all others do. The exception is made for Dragons, but perhaps they were seen as 'conscious enough' by the original game developers. Anyways, the feature with double dragon upgrade was cool. We in fact broke this rule once for the Rogues (Dervish level 1), but there was a good reason behind it: an adjustment to the faction lineup to provide a better fitting common gamma without touching the original Heroes 2 creatures. Perhaps, we will slightly go beyond the latter rule too, if necessary. Another upgradeable creature is the Lizardman (to its Warrior counterpart). Looks cool. In future, there might appear a little more upgrades, because Genies seem a nice enough candidate for this and I even have a design idea for Master Genies. P.S. a teaser teaser for now. (I forgot to put Medusa Queens there, too). That was with a little bit of irony anyway. Still, thanks to these years, the upcoming version might even feel as a complete game for some people rather than a raw beta. This stuff takes a while but omg its so worth it. That town looks gorgeous and the line up fits so well. I Especially like the Anubis and the manticore. Great work as always. Looking forward to next version.